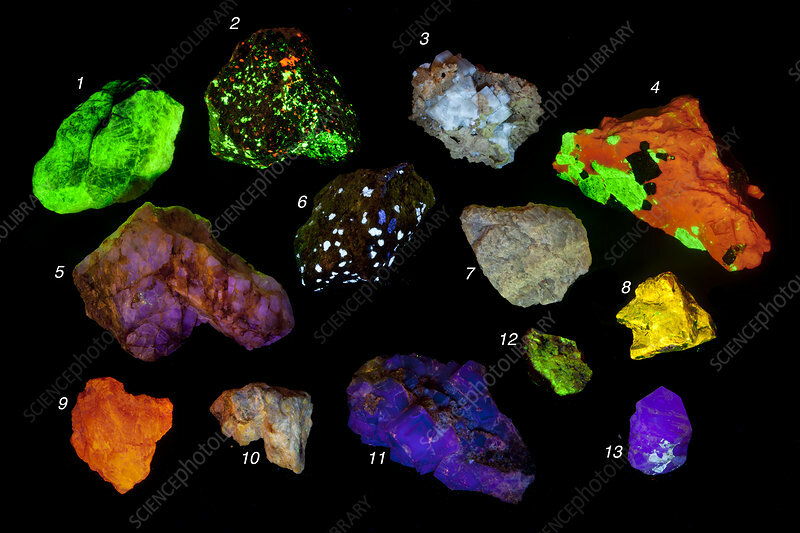 Various fluorescent minerals : 1Willemite, New Jersey, 2: Willemite and Calcite, New Jersey, 3: Fluorite, Ohio, 4: Willemite and Calcite, New Jersey. Fluorite, California. Scheelite, California. Aragonite, California. Zircon, Australia. Halite, California. Unknown. Fluorite. Adamite, Mexico. Fluorite. Adamite, Mexico. Fluorite.